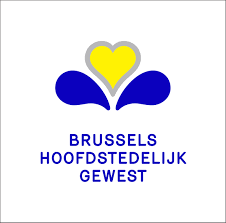 Many Brussels non-profit organizations and social enterprises have infrastructure under their own management. This infrastructure serves to live, as an office building for organizations, as studio space or sports facilities, and so on. Many managers are responsible for the maintenance and the jobs, sometimes they also face major challenges in the field of renovations and construction projects. In large buildings there is often a common reception and a helpdesk for administrative questions. Where possible, vulnerable people are engaged in day-to-day management, which is immediately a good way to gain work experience. Few organizations have a lot of financial space for patrimony management. Every man searches for himself how a certain problem can be solved. But lack of knowledge and long-term planning often lead to inefficient management. They can not invest in facility management, have no experts in house, do not have the right software for efficient management, there is no overarching effect that ensures professionalisation and training, and so on. The result is often economic loss: buildings are vacant or are underused, with a loss of financial return. By developing a system of efficient management for owners of buildings in the non-profit sector, there is a huge potential for patrimony for offices, social and economic activities. De Overmolen works together with social rental agency Baita vzw, Local Services Center Cosmos vzw and the Parochial Works Association vzw – Goede Bijstand.